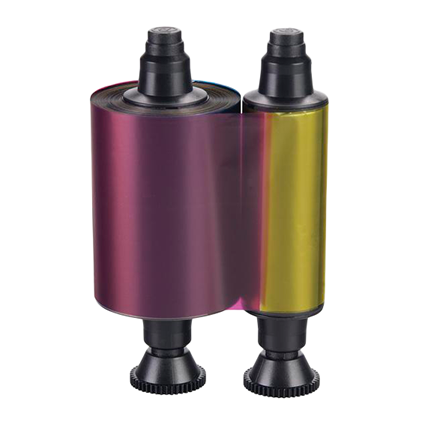 The YMCKOK Colour Ribbon has 6 Panels (Yellow, Magenta, Cyan, Black, Overlay, Black) and offers 200 Card prints per ribbon. This YMCKO Colour Ribbon is made for dual sided printing and is compatible with the Evolis Primacy ID Card Printer. 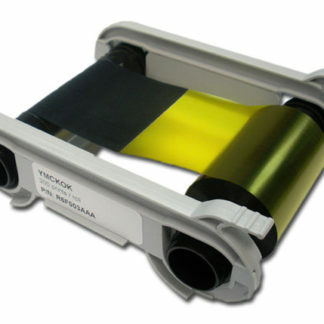 The YMCKOK Colour Ribbon offers a full colour print with clear Overlay on the front of the card and black text, barcode or image on the back of the card.